The problem with the modern plumbing system is that when it gets blocked it can be very hard to find exactly at which point the block is without actually taking the pipeline apart. If you begin to experience foul odor, water sitting around your property or slow draining water it could be that your drain is blocked and will require a drains video inspection services to identify the exact problem spot. What Drain Video Inspection Helps to Detect? Below is a list of issues which this service can help you find and eventually eliminate from your property. Getting your drains and sewer lines inspected today will mean that you avert potential problem and could save thousands of dollars in the future. 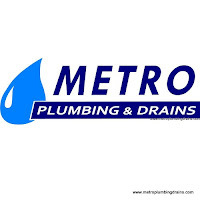 Over the years Metro Plumbing and Drains has managed to develop our own unique method of detecting and fixing drainage problems. Our video inspection services go beyond just detecting where the leak or block is; we also want to find out what is causing the leak and how to go about fixing it so that you never have the same problem again. Regardless of the type of job you need residential or commercial, big or small you can be assured that it is being done by professionals.